Maximum dynamics and delicacy are outstanding properties of the Tonehunter Tasty Flakes. This overdrive pedal impresses with its cranked up California or Plexi sound. 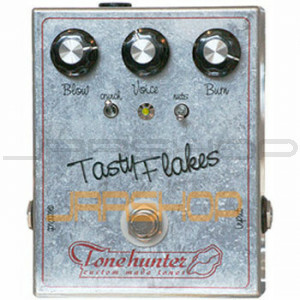 But the sound range even allows heavy sound, if you use the Tonehunter Tasty Flakes with an cranked up amp.